When we last saw the Guardians, they were celebrating their victory during Bright Night, the final great Battle of the Moon, where they defeated Pitch once and for all. Or so they thought. Now, many years later, the Guardians have settled into their final selves, embracing their public images and the Earth Holidays. But the world has not been without evil since Pitch’s imprisonment. First there was the World War, then The Crash which has led to what the humans call a Great Depression. All the Guardians feel the weight of these events, but Jack Frost—now half human, half of his former self Nightlight—feels it the most. Jack’s transition from Nightlight to Guardian was not an easy one. Always inclined to keep to himself, Jack has become especially isolated from the other Guardians since his transformation. Yet it is Jack who Ombric Shalazar (once a great wizard, now known as Father Time) trusts with a tremendous secret. But for Jack to fully understand this secret, he must revisit his past—and finally tell his story. Jack’s story, however, isn’t the only one to be reopened; an old enemy whose chapter we thought closed will reappear and with him bring a darkness and destruction that will test the Guardians like never before. It’s a battle of superlatives—the worse fighting the greatest, but where, oh where, is Jack? CHRISTMAS EVE WAS JACK’S favorite day of the year. And for the last few decades or so, he had spent that day in his favorite place: his tree. Jack’s tree was the oldest in Central Park. A thousand people, maybe more, walked past it daily and had done so for many years, but not one of them knew that Jackson Overland Frost was very often living inside it. This tree was much older than the park it stood in and was even older than the city of New York itself. It was a sapling when the city was still called New Amsterdam and there were more Native Americans than settlers living in the swampy forests of Manhattan Island. By this Christmas Eve 1933, millions of people lived within shouting distance of this noble oak, but its secrets were still more absolute than they had been when flintlocks or bows and arrows were the order of the day. A heavy snow was falling over all of the East. It muffled the sounds of the city, though New York was already quieting down. People had finished shopping and were heading to their apartments and penthouses and homes. Jack, however, could feel the thrum of excitement from the children. Sleep would be difficult for them. It was, after all, Christmas Eve. A busy night for Sandman, he thought. The inside of Jack’s tree contained more than a dozen rooms within its majestic hollow, and the furnishings were a mix of pieces from several centuries: spears, shields, stools, and pottery from the various tribes of the Iroquois, along with colonial tables and ornate chairs and couches brought over from Europe. There was a tomahawk from a chief of the Algonquians. The jacket that George Washington had worn the night he crossed the Delaware was hanging on a hat rack that had belonged to Teddy Roosevelt. This tree, like all the tree-houses Jack called home, was a handsome, comfortable clutter of the region’s history. Jack was readying to meet up with the other Guardians when he felt the dull, worrying ache in his left hand. He wanted to ignore it. He knew Nicholas St. North would already be grumping about his being late. Jack Frost! The fair-weather Guardian! North would playfully gripe. Comes and goes when he pleasies! The word, my dear North, is “pleases,” E. Aster Bunnymund would correct. Go lay an egg, General Rabbit Bunny, North would retort, and they would begin to amiably argue. Jack could imagine it exactly. He grabbed his staff, Twiner, and prepared to leave, but then paused as another even sharper pain seared through his hand. He looked at his palm, at the curious scar etched across it. The inky stain of Pitch’s blood had discolored it and was, Jack knew, the source of the pain, for it only twinged when Pitch or his forces posed a threat. He turned back to a cabinet, well hidden, where he kept his daggers. There were several similar daggers in this secret cabinet. All of them were made from large, sharp, single diamonds, and each gemstone had been formed from the tears of someone Jack had loved. As far back as his earliest days as Nightlight, Jack had possessed the ability to turn sorrow into a weapon. These daggers could only be used against dark forces or to protect the kind and weak. But there was one dagger, unfinished, that was different from the others. It had come from the tears of Pitch himself. This dagger had one purpose only. Jack had never completed its construction, but he knew now in his heart that it was finally time to use it. And this worried him deeply as he took the dagger and tucked it into its sheath. He slipped on his blue hoodie, which he wore as a sort of uniform, then set out for the pole. The North Pole. The thousand or so squirrels that sheltered in his tree were eating nuts and singing squirrel carols around a squirrel version of a Christmas tree, a cone-shaped mound of acorns covered with candles. They squealed “Merry Christmas” to him in squirrel-speak. Jack squealed back; he spoke fluent squirrel and chipmunk. As he leaped out of the hollow, he felt his hand throb once more. Not now. Not tonight. He gave his hand a shake. A breeze suddenly kicked up. The trees swayed and lurched, their message clear. Danger was near. Twiner instantly transformed into a bow and a quiver full of gnarled arrows. Jack quickly nocked an arrow. “Where?” he whispered to the bow. He let Twiner lead him to where he needed to aim. While Jack could sense danger, Twiner could always see where it was coming from. The wind stilled, and the snow stopped. Guardian Jack Frost is known throughout the world as a carefree, fun-loving character and a protector of children. But was his life always this way? Through interactions with Jack’s many friends and enemies, readers learn the story of Nightlight, Jack’s start as protector of the baby prince on the moon; Jack’s epic battles with Pitch and his nightmare men; and Jack’s transition into a new form known as Jack Overland Frost. Join Jack and his fellow Guardians as he keeps the children of the world safe from the atrocities inflicted by Pitch and his army, and tells tales of his beginnings. 1. When the story began, where was Jack? What was the date, and why was it so special? Explain why Jack was alarmed, and what this caused him to do. How might you have reacted if you were in Jack’s shoes? 2. Jack had several daggers in his home, but there were limitations on when and how these daggers could be used. What were these limitations, and why do you think they existed? Discuss how these daggers were made, and the importance of the dagger which was left unfinished. 3. As Jack prepared to leave his home to join his friends, he was attacked. Who warned him, who protected him, and how did he respond to this attack? How did this experience inform him that evil had returned? 4. What was the gift that North sent to Nightlight? What kind of impact did it have on the story? When encountering Lermontoff Serpent, what did Nightlight discover about himself and Twiner? Think about Twiner and his role in the book. What function did he serve, and how was he able to do his job? 5. Why did Katherine, aka Mother Goose, chronicle the histories of the Guardians? What had Katherine learned in her childhood about the power of stories? How does this compare to what you’ve learned about stories? Why are stories important to you? Do you have any stories that have been passed down through your family? 6. How important was it for Katherine to write about Nightlight and his fight with Pitch? Why was Pitch concerned about stories that did not describe histories, but were meant to be fun? Do you agree or disagree with his beliefs about stories? Name some stories which were said to be inspired by Jack Frost. 7. Emily Jane, Pitch’s daughter, monitored Pitch’s imprisonment. Her abilities had grown stronger over the years, ensuring Pitch’s inability to escape. How many years had Pitch been imprisoned before the start of this story? Why was Emily Jane willing to keep her father imprisoned even though she loved him very much? Have you ever had to make a difficult decision involving someone you love? Explain why it was so difficult, and how it made you feel. 8. The Great Depression caused chaos and fear throughout the world. What is a depression? How did it affect the Guardians, the Nightmare soldiers, and families everywhere? What problems did the Guardians have on Christmas Eve? Why didn’t Jack help deliver the presents on Christmas Eve when it was one of his favorite activities? Do you think Jack regretted his choice? 9. Name all the Guardians, and discuss their similarities and differences. How did they promote their individual earth holidays? Why did they think they’d be able to help the children grow up in ways that would allow them to become morally conscious adults? Discuss their concerns that children would stop believing, and how that would impact their futures. What would you say to them to help allay or reinforce their fears? 10. Discuss Ombric Shalazar and his radical transformation into Father Time. When and how did he change? On Christmas Eve, he was so agitated that only Jack could calm him. How did the two of them communicate, and why couldn’t the other Guardians participate in the conversation? 11. The kiss between Katherine (the magic of humans) and Nightlight (the magic of the Golden Age) at the end of the War of Dreams formed an everlasting impression. Normally a kiss would bring two people closer together, yet with Katherine and Nightlight, something else happened. Discuss their relationship, and the fact that the Guardians noticed a change in Katherine after the kiss. What was the Guardians’ conclusion? Do you agree with them? Would Katherine’s kiss have had the same effect on another character? 12. Nightlight disappeared for one hundred years. Katherine started reading articles in the London paper describing an untamed, white-haired young person whose age changed from telling to telling and whose name was Jackson Overland Frost. How did Katherine know Jackson Overland Frost was Nightlight? What happened to Katherine whenever she thought about Nightlight? Why had he come back? 13. What is an oath, and how sacred is it? What types of oaths have you taken, if any? Think about promises to your teacher, your classmates, your community. What happened once Nightlight fulfilled his oath? What happened to Katherine’s Nightlight? What prevented him from having the normal life sequence of a Nightlight? 14. Nightlight stated, “To have no clue about one’s fate is a strong and fearful feeling.” Can you relate to this statement? Why do you think Nightlight felt this way? Explain your answers. 15. Why was it important for Nightlight to be out of communication with the other Guardians while he was evolving and continuing his Moondream? 16. Explain what Twiner meant when he called Nightlight’s wound a “wound that bonds.” How might a wound that bonds differ from a wound that doesn’t bond? What did Twiner do to Nightlight to balance the bond? Explain what this action was supposed to do to Nightlight. Was it effective? 17. Jack encountered a man named Shadowbent on his journey to his dream family. Although Shadowbent looked menacing, Jack didn’t feel threatened. Why do you think that was? What impact might Jack’s previous experiences have had on this moment? Discuss Shadowbent’s story, and his relationship to his fellow men. Shadowbent and Jack were unaware that they shared a common bond. What was it, and why do you think they failed to recognize it? 18. When Jack was adopted into the Ardlean family, he was immediately treated as part of the family. As he readied himself for bed, what ritual did his adoptive parents perform? Discuss this ritual and what it means to you. Would you have reacted similarly to or differently from Jack? What memories flooded back as Jack watched the ritual? 19. What was Jack learning during the activities he participated in with the Ardlean family? How important was imagination and play to the development of Jack Frost? Explain your answer with examples from the book. 20. While Jack, Ana, and Jacklovich were playing on the icy pond by their snow ship, they were attacked by Lermontoff Serpent and hundreds of Nightmare men. One of the Nightmare men yelled to Jack, “‘Pitch will let you live, but he will kill all those for whom you care!’” How did Jack respond to this attack? Once he knew his friends were safe, how did Jack convince Pitch that he was dead? What was the significance of the one item he took with him as he sank into the dark, lonely bottom of the lake? Describe Jack’s character traits and skills that helped him to pull off this trick and save his friends. 21. After Katherine and Jack shared stories of the past one hundred years, there was a commotion outside the door. Jack showed Katherine the dagger made with Pitch’s tears. What was different about this dagger compared to the daggers made from children’s tears? Why did he show it to Katherine? 22. Jack asked Katherine if she still had the jewels from his Nightlight uniform, and she poured them into Jack’s hand. What did Jack do with the jewels and his scar, and how did these acts affect the battle? What theory of Jack’s did this prove? How did this knowledge help Jack? 23. How did Iddock trick Blandim into taking Jack’s dagger? What was the result of that action? What did Iddock learn from this? What was so special about the dagger that, if used properly, ensured Pitch’s end? 24. The rage Pitch felt at being outsmarted by a younger foe was distinctive compared to his many other angry moments. What was the difference? How was Pitch’s fury felt throughout Santoff Claussen? Did you feel strongly that Pitch would be put in his place? Give examples from the book that clued you in to this fate. 25. Despite his situation, Pitch did not give up hope of winning the battle. What secret of Jack’s did he remember and plan to use against him? What caused Pitch to be afraid? What was his reaction to that feeling? 26. Emily Jane felt conflicted as she escorted her imprisoned father to Transylvania. What did Emily Jane hope would happen? Who do you think she would protect in a battle? 27. The Guardians decided they would follow Jack’s instructions and meet in Transylvania for a battle with Pitch and his nightmare armies. Why do you think the Guardians, with all their wisdom and experience, were willing to follow Jack’s lead? What does this tell you about Jack? 28. As Jack looked at each of his Guardian friends, he noticed that they had all aged, yet they had not lost their childhood selves. Discuss if this is possible, to be an adult and still a child at heart, and the effects it would have on your life. 29. Jack stated that Pitch’s years of confinement made his hate stronger. Do you agree with him? Why do you think that is? Can you think of examples in the news or in your community where this is also the case? Is there anything we can do to stop this cycle? 30. Katherine could feel the energy in the Mythosphere. What was the Mythosphere? She wondered if the power of stories could tip the balance of the battle in their favor, and decided to try by saying, “‘Once upon a time, once upon a time, once upon a time.’” What effect did this have? Do you think stories have the power to change things? Consider both fictional and non-fictional stories in your answer. 31. On Christmas Eve, Ombric said one word: “remember.” How important was the word remember to the outcome of the battle? 32. What action did Jack take to stop Pitch from starting the war? How did he know this action would work? What was Toothiana’s assignment, and did she succeed in her mission? 33. Do you think Jack saved Pitch? What happened when Jack allowed Pitch’s teardrops to soak into Pitch’s chest? How did Pitch’s secret plan to destroy Jack fail? 34. How important was friendship in this story? Did the nightmare men have any friendships? Did Pitch have any friends? How important are friends in real life? Explain what qualities you look for in a friend. 1. After reading this book, design a time line to keep all the events in chronological order. Which events directly affected outcomes of other events? Color-code your time line to illustrate related pieces. 2. Research Winston Leonard Spencer-Churchill, Joseph Rudyard Kipling, and James Matthew Barrie. These were the men who were involved in the snowball fight with Jack and the children. Did you find anything in their backgrounds to make them the perfect choices for a snowball fight? What careers did they have, and how did their work impact children? 3. The Raconturk guards used onomatopoeia to fight off a horde of swarming warrior monkeys. What is onomatopoeia? Create a short story or a cartoon which uses onomatopoeia. 4. A book’s title provides a clue into the story the author is about to tell. 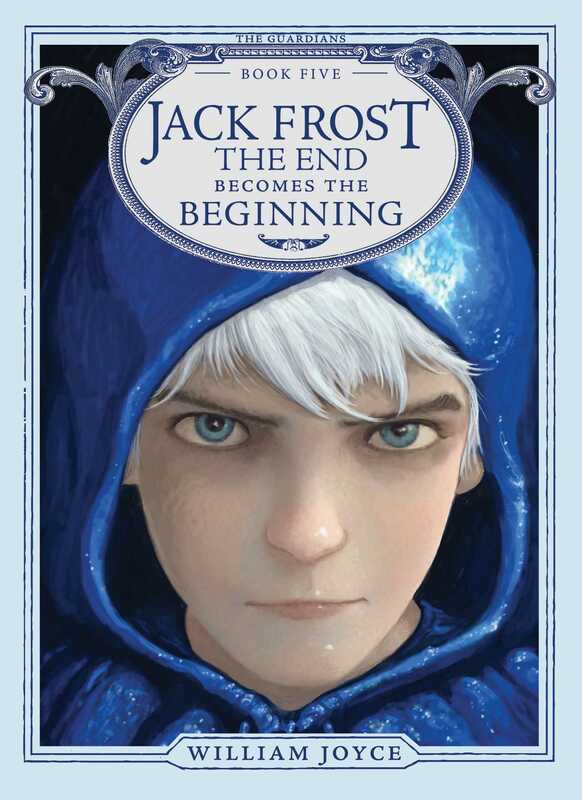 Discuss the title of the book, Jack Frost: The End Becomes the Beginning. What is the author telling the reader? Is this the end of the story for Nightlight? Does the end of Pitch also mean the end of Jack Frost’s story? Is this a story about Pitch’s end and Jack’s and Katherine’s beginnings? Is there a new beginning for Kozmotis Pitchiner, Lord High General of the Galaxies? SummarizeighHighSummarize your version of the next chapter in the Jack Frost saga. 5. 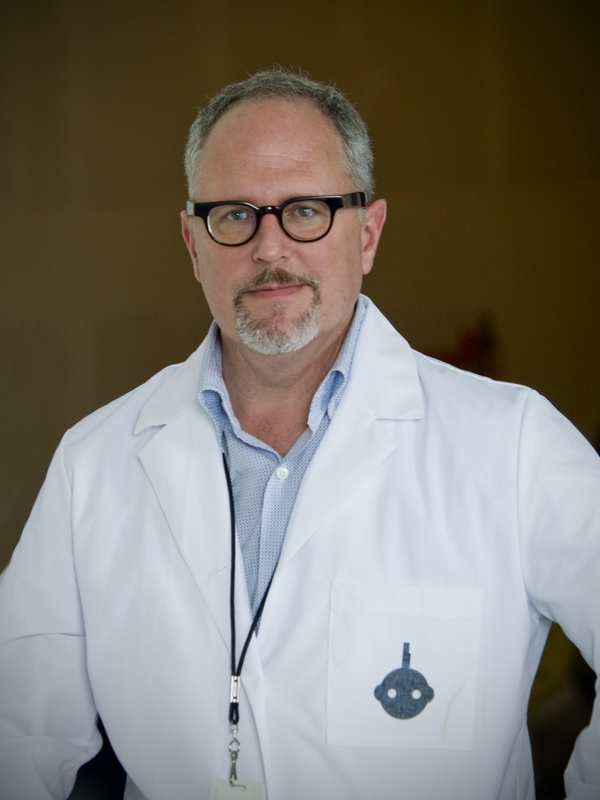 Research dark matter. Is there really such a thing? From what is it made? What was the dark matter made from in the Jack Frost story? 6. Katherine discovered that writing stories helped her to make sense of the wonders and sorrows of the real world. Pick a topic of concern to you, and write a short story involving this topic. How does imagination affect a story? When is it important to use facts when telling a story? Can a story use facts, but still be fiction? 7. Research the Great Depression. How did it start? What effect did it have on the countries of the world? How did people behave during the Depression, and what was the general mood? Did it match the moods and behaviors of any characters in this novel? 8. Redemption was one theme discussed throughout this story. Give examples from the book that showcase this theme. Which character needed to be saved? Who was the savior? Discuss other stories that use the theme of redemption, and the conflicts and resolutions that occur because of it. Write an essay comparing and contrasting these stories to Jack Frost’s story.